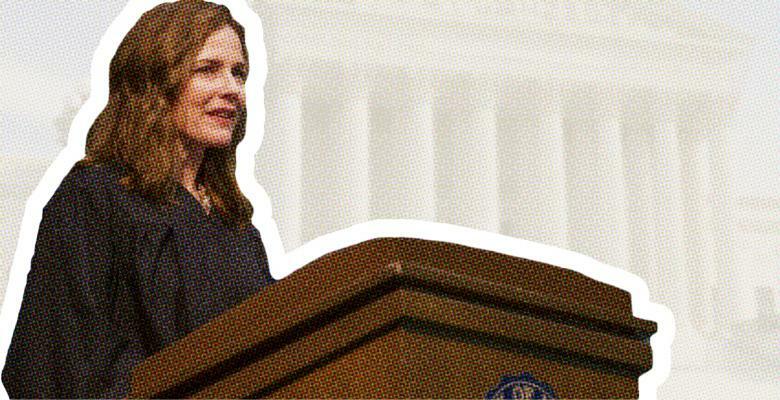 President Donald Trump told advisers that he did not pick Judge Amy Coney Barrett for former Supreme Court Justice Anthony Kennedy’s seat because he is “saving” her for Ruth Bader Ginsburg’s seat, Axios reports. Barrett, a conservative judge on the Seventh Court of Appeals who critics worry would pose a threat to abortion rights, was on the shortlist to be a nominee for Kennedy’s seat before Trump chose Brett Kavanaugh. "I'm saving her for Ginsburg," Trump told advisers at the time, according to Axios. According to the report, some of Trump’s advisers worry that Barrett’s “staunch opposition to abortion rights” would cost her the votes of moderate Republicans like Susan Collins and Lisa Murkowski. Barrett has been on the court wishlist for many conservatives, particularly because she is still in her 40s and “proudly embraces her Catholic faith,” Axios reported. Last year, Ruth Marcus wrote in The Washington Post that Barrett would “pose the biggest danger” to Roe v. Wade, citing her writings as a law professor. While Trump has his eye set on Ginsburg’s seat, the octogenarian reiterated after her bout with cancer that she is not planning on leaving any time soon. Ginsburg returned from her third cancer battle earlier this year and immediately issued two of the court’s three opinions upon her return. Ginsburg said last year before her cancer surgery that she planned to stay on the court for another five years.